As we bring physical transformation to desperate communities, spiritual transformation is rushing in behind it and echoing into eternity. Ingrid had a feeling something wasn’t right, but she was not prepared for the news she would receive from the medical center. The word cancer struck her with excruciating force. How would she afford the surgery she needed? Who would care for her two young children if she were gone? In the impoverished village of La Calonia, this diagnosis was more than a death sentence; it could devastate an entire family . . . unless a miracle happened. What Ingrid didn’t know is that her miracle had already come. 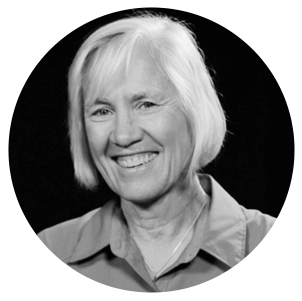 In early 2014, Harrisonburg First Church of the Nazarene had chosen to partner with her village—they had committed themselves to seeing transformation sweep through La Calonia. When leadership at Harrisonburg Church heard of Ingrid’s need, they quickly raised the funds for her surgery. In what seemed like a breath, she was on her way to the hospital . . . hope had never been more visible to her than against this backdrop of desperation. 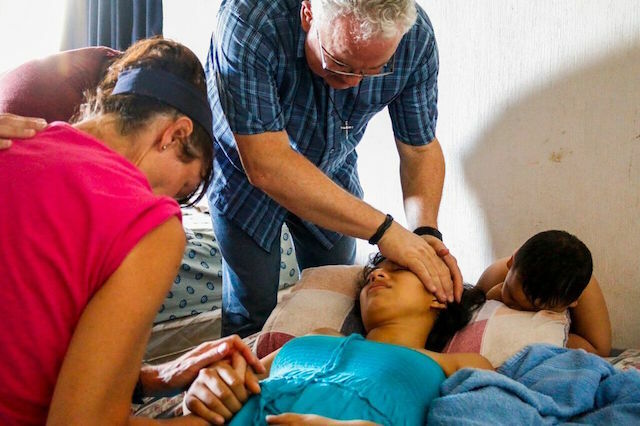 Shortly after Ingrid’s surgery, a group from Harrisonburg Church arrived in La Calonia and visited her home. Spanish and English mingled together as the translator echoed Pastor Kerry’s prayer over Ingrid. The team knew they were standing on holy ground. When Pastor Kerry had finished praying, tears had filled Ingrid’s eyes. “I need to receive Christ,” she said softly. 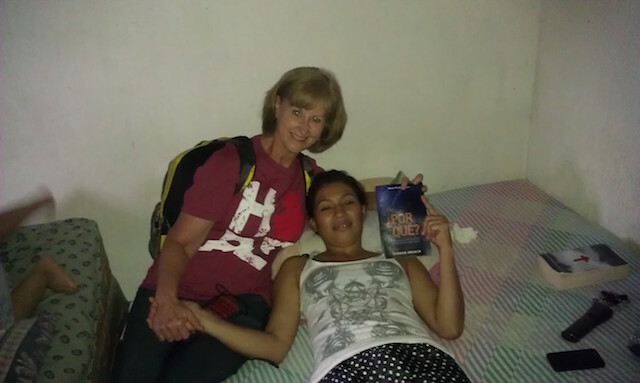 The team led Ingrid in prayer as she accepted Jesus as her Lord and Savior. Help had opened the door, and eternal hope came rushing in behind it. Since their commitment to adopt La Calonia in 2014, Harrisonburg Church has provided the village with a church building, begun construction on a school building, and helped the women of the community to start their own business by selling handcrafted merchandise in their community. And this is only the beginning. 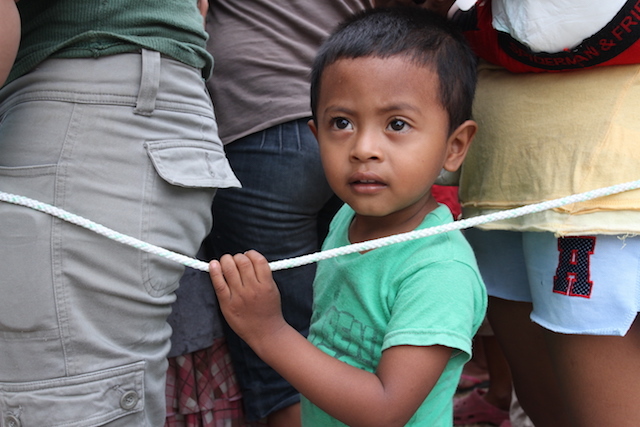 Transformation is surely reaching the hearts and lives of the people in La Calonia. In 2015 alone, 7 Total Village Transformation projects were completed, making holistic healing possible for 7,350 people in rural communities. There were 56 community development projects completed in total, including 7 church buildings, 35 clean-water projects, 2 schools, and 12 small homes. Ingrid is one of thousands of men, women, and children who are witnessing the love of Christ through Total Village Transformation . . . through the efforts of passionate World Help donors who have committed to meeting the needs of communities long overlooked and forgotten. Thank you for following us into broken communities with tangible evidence of God’s transformative love. As we seek to bring physical transformation to desperate communities around the world, spiritual transformation is rushing in behind it and echoing into eternity.